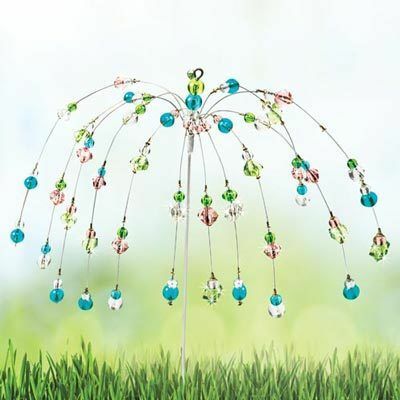 Throw a garden party with cheerful beads that shimmy and shake in the breeze! Beads are connected to dancing wires held in place by a sturdy pronged stake and topped by even more blingy, springy fun! Each Dream Dancer Yard Stake is handcrafted and unique. Approx. 20"h, 24" dia.